For many, 7.7 inch screen size is considered the best as it is neither too big to carry around, not it is too small like smartphones. For some reason, there are only two tablets that feature a 7.7 inch display. First is Galaxy Tab 7.7 and second is Toshiba Excite 7.7. The Toshiba Excite 7.7 is a serious contender for the Galaxy Tab 7.7 as it offers more or less the same package as the latter and costs 200 dollars less. 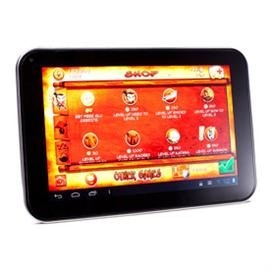 On the downside, you loose the useful LTE connectivity and wonderful battery life as offered by Tab 7.7. However, at 500 dollars, the Excite is an amazing contender (and alternative) to the Galaxy Tab 7.7. You can read its review at pcmag to know more about it.